Webster Machine Works was founded in 1987 with five employees a single 10,000 square foot building. The company has grown to be one of the largest, most diverse shops in the region with more than 60 employees working in a 77,000 square foot facility with over 50,000 square foot of warehouse space available. Our technical expertise supported by state-of-the-art machine tools, technology and various software can get the job done. 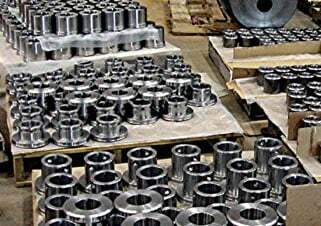 We serve a broad cross-section of industries, including: mining, environmental, oil & gas, petrochemical refineries, steel mills, pulp and paper, construction, and forest product companies. From companies known throughout the world to someone simply walking in our front door, we are committed to exceeding our customers' expectations on every job that we do.